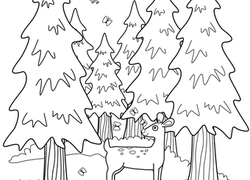 Inspire your little conservationist with our nature-themed coloring pages. 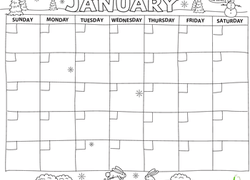 From fruits and vegetables to flowers and trees, no matter what natural delight your kid is partial to, we're sure you'll find a coloring page that's just right. 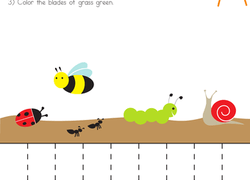 Our nature coloring pictures depict scenes of a bee collecting pollen from a Flower, a tree full of ripe fruit, and even a Butterfly Gently landing on a leaf. After she's all done, ask your child to join you on a nature walk so you both can admire the real thing! Or, you could set her up outside and let her work on her nature printables while she's actually surrounded by nature! 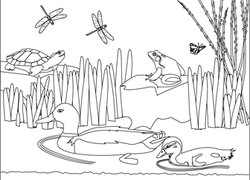 Help your child admire and appreciate the natural beauty all around her with our nature coloring pages. 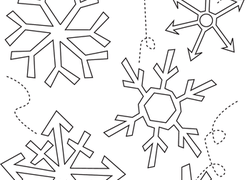 Celebrate winter and snow days with your preschooler with this festive snowflake coloring page. Encourage your little learner to practise simple science while he's coloring this rainbow coloring page: what order do the colors go in? 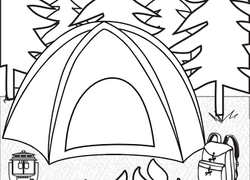 Get ready for camping with this fun coloring page, which features a tent, campfire, backpack and lantern. 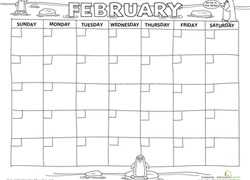 This maths worksheet features bright vegetables for your budding maths whiz to count up. This exercise lets her get creative with coloring with a chart. 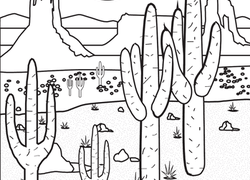 Enjoy the heat of this dazzling desert as you colour in rock formations, a rabbit, and a cactus or two! Do you think you would like to spend the day in a desert?